3-9 month baby boy white stripe caterpillar onesie with pull-on pants with colors of turquoise, white and blue. 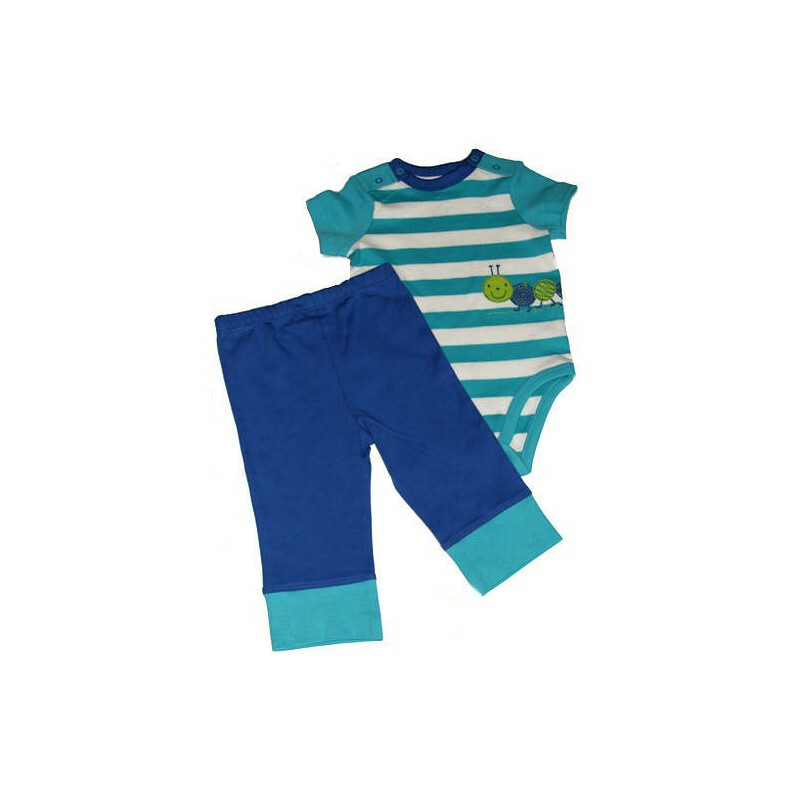 100% cotton knit turquoise and white wide stripe onesie with bue pull-on pants by Off Spring. The onesie has blue binding at the neck, while the legs are bound in turquoise as in the sleeves. Snaps on both shoulders and at the crotch. A cute little caterpillar is appliqued on about the waist line. The pull-on blue pants have the turquoise at the bottom of each leg. 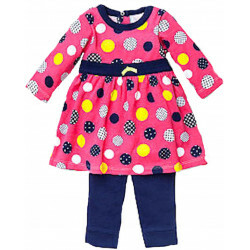 Sizes: 3, 6, 9 months.